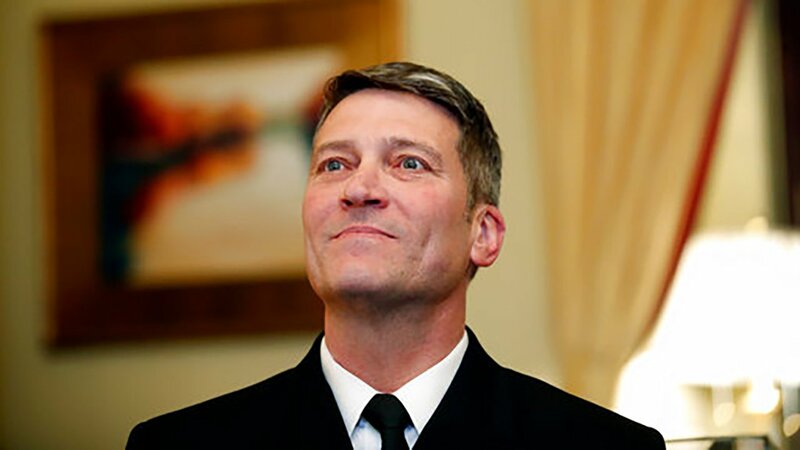 WASHINGTON -- White House doctor Ronny Jackson is withdrawing from consideration as Veterans Affairs secretary. Jackson says "false allegations" against him have become a distraction. The White House sent out a statement from Jackson Thursday morning. He says he "did not expect to have to dignify baseless and anonymous attacks on my character and integrity." Jackson has faced a series of accusations about his workplace conduct, including that recklessly prescribed drugs and exhibited drunken behavior. Trump chose Jackson to head the VA last month after abruptly firing Obama administration official David Shulkin. Jackson was a surprise choice who has worked as a White House physician since 2006. He faced immediate questions from Republican and Democratic lawmakers about whether he had the experience to manage the VA, which has 360,000 employees serving 9 million veterans.